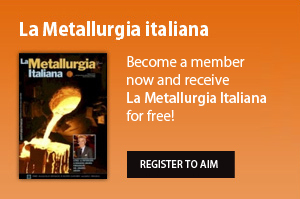 receive the monthly journal "La Metallurgia Italiana"
EUROMAT 2019 - The European Congress and Exhibition on Advacenced Materials and processes, will take place in Stockholm (Sweden) on 1-5 September, 2019. EUROMAT is the important international congress in the field of materials science and technology in Europe. 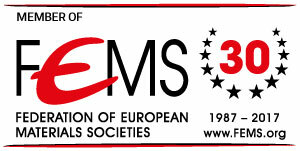 AIM members will avail or reduced registration fees, since AIM is member of FEMS. The online abstract submission system will stay open until March 31st, 2019. The monthly Journal "LA METALLURGIA ITALIANA"